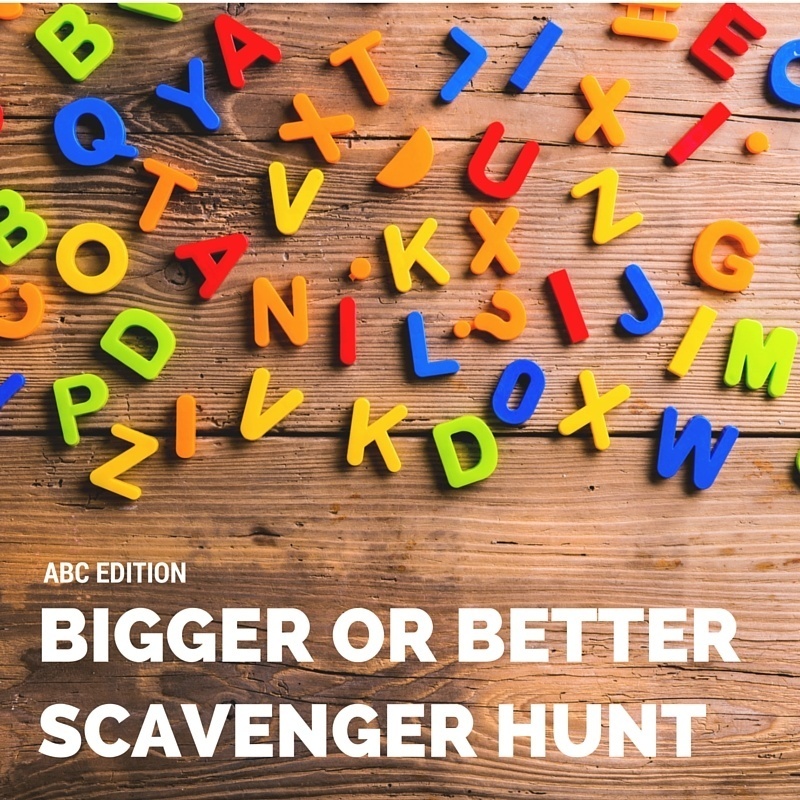 With only two days left of our 40 scavenger hunts, we present an awesome Bigger or Better ABC Scavenger Hunt. Your entire group will enjoy, courtesy of Ray Hintz & StuMinStuff! This may be the most unique and fun scavenger hunt among the entire list. This hunt also requires a bit of subjectivity, so it helps to have a small panel (we suggest 3 people) to help decide what items are the “best” so that you can dole out the points to each group accordinglyIn general, scavenger hunts are a fantastic way to build teams and an easy way to host a great afternoon with your group. This is especially true with this one, as it will allow your group to embrace their creative side as well. Today, we continue our scavenger hunt list with a Bigger or Better ABC Scavenger Hunt. Print the Bigger or Better ABC Scavenger Hunt before you start. Once your group arrives, take a moment to determine how many teams you will need, separate your group into teams, and assign them drivers. Stay tuned for more great Scavenger Hunts. Happy Hunting! 2. Create an excel sheet for the items on the list and a breakout for the score. Unlike the other hunts, you will have each group lay out their items in alphabetical order and compare them to one another. That way you can quickly identify which group has the biggest and best items. 3. Award the winning team some fun, creative and big prizes for their efforts!